An avenue of two hundred and eighty-six trees was originally planted to commemorate those from the district who served in World War One. The avenue was planted in 1918 by the families of the men and women from the Shire of Creswick. A cairn was unveiled and the Avenue was rededicated on the 11th November 2000. 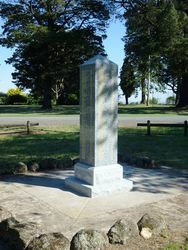 An obelisk lists the names of the men and women and their individual trees on the East and West side of the road. 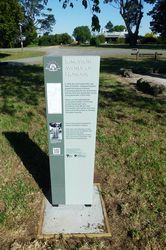 A new granite obelisk listing the names and tree numbers was unveiled on the 11th November 2017. 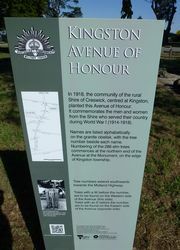 The Kingston Avenue of Honour is now home to a new granite obelisk. The monument lists the names and tree numbers of the 289 people commemorated at the avenue. The project, organised by Kingston Friends of the Avenue Incorporated, aimed to help visitors locate individual trees. Kingston Friends of the Avenue Incorporated chairman Ed Murphy said trees in the avenue were originally allocated on a random basis, so it had always been difficult for visitors to locate the tree belonging to their relative or ancestor. 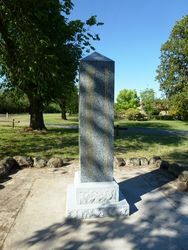 A $6000 grant from the Victorian government funded the obelisk. 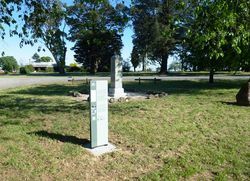 Meanwhile, a $2000 community grant from the Hepburn Shire provided funding for an interpretive sign, which explains how to read the obelisk. The Advocate (Vic), 22 November 2017. 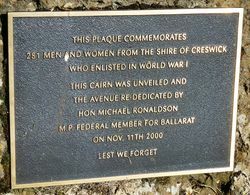 This plaque commemorates 281 men and women from the Shire of Creswick who enlisted in World War I. 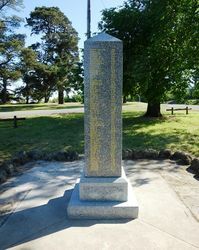 This cairn was unveiled and the Avenue re-dedicated by Hon Michael Ronaldson M.P Member for Ballarat on Nov. 11th 2000.